In 1989 John Woodward created Bashful Alley Centre in the heart of Lancaster. In the Centre are three working rooms that reflect the notion that a well-balanced human being has: Openness, Good Sense and Healthy Action. You do not have to knock on the outer Alley door – just come up the stairs and enter a room that is curiously neither kitchen nor office but somehow a combination of the two. This is the heart of Bashful Alley Centre and it is not a Waiting Room! For over 25 years individuals have come and gone through the Centre. As they discover more about themselves and as they renew themselves it has created a special atmosphere: a haven of peace and comfort. 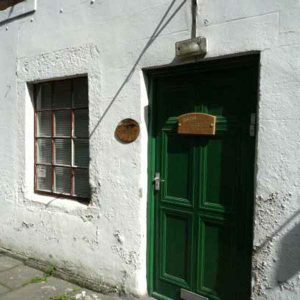 The Bashful Alley Centre is located in the heart of Lancaster City Centre. We are only a few minutes walk from Lancaster Railway Station and close to the Bus Station. The Centre is tucked away in a little alley that has an opening onto King Street at one end and Market Street the other. The entrance to the Alley is opposite Crows Hotel/Lancaster City Laundry and sits between Smile Express and Seville Hairdressers. Come into the Alley and past the Old Bell Cafe. The Centre is the green door between the Old Bell and Animal Care charity shop on the right hand side of the Alley. 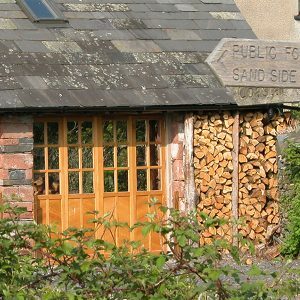 John also teaches from his his purpose-built teaching studio close by the beautiful Duddon Estuary in the village of Kirkby-in-Furness on the Furness Peninsula. Appointments are usually available on a Wednesday or at other times by arrangement. If this venue is better suited to your circumstances please contact us for an appointment on 07814011926 or landline 01229 889519.